There’s something about setting a piece of cold steel, knowing that there is such a small window of success for a predator to enter a trap, set the pan off and become the prey of a trapper. A couple of centuries ago trapping was a large part of the homesteaders’ lifestyle and a key means for survival. In today’s society, trapping is, unfortunately, a dying skill. Even more disturbing is that often when the phrase “trap an animal” comes up, it is surrounded by terms like “inhumane” and “cruel.” But for the deer (and other game species) manager, trapping is a critical piece of the puzzle to maintaining a balance between predator and prey. For many of us, this time of year is about the only real time we consider chasing predators, except for opportune times during the focused hunting seasons. The down time between deer and turkey season is our chance to take out a few predators, and something that just fills the “gap.” But like a deer herd, harvesting predators when convenient is not going to create a well-balanced population, and will start to show on the game species you love to hunt. Though it might not be evident overnight, or even over a season, high predator populations can really create issues on the prey (game) species you love to pursue every year. Whether we are talking about coyotes or bobcats, or the hot topic of wolves, the fact is out-of-control predator numbers are detrimental to some wildlife populations. However, as hunters, we often completely miss our chance at doing our part to control predators. Sure, calling in coyotes from long ranges is cool, but not so much an effective predator population management technique. The amount of man hours required to hunt and harvest a couple of coyotes is intense for most. What’s the better option? Trapping. A single trap line can be set up pretty quickly depending on your experience level and number of traps. It then can be checked in a relatively quick manner by truck, ATV/UTV, or foot. This is an effective way to pursue predators 24/7, without the intense man hours. It isn’t something just anyone can do. Trapping is as much of an art, as a skill. The ability to coax an animal with keen senses like a fox or coyote into a small area to trigger a trap is a major accomplishment. What is the result of good trapping efforts? For deer, it’s measured in greater fawn numbers; in turkeys, better nest hatch success; and in elk, less adult mortality by wolves. The bottom line is, with today’s busy lifestyles, you have to make the most of every moment. 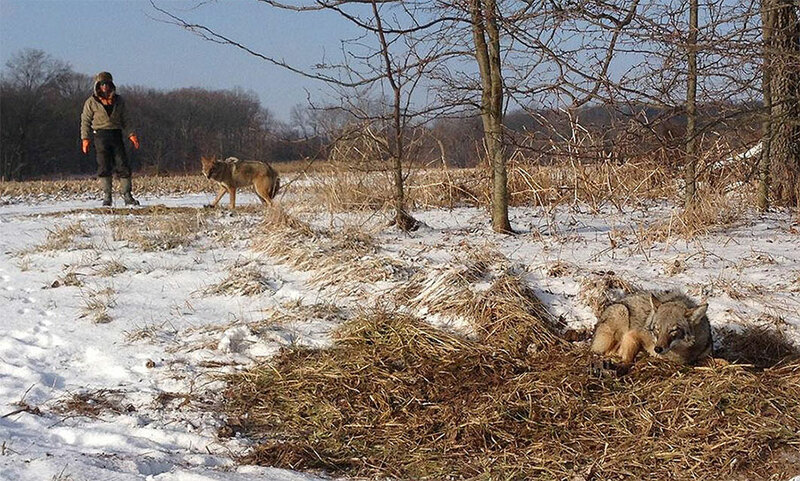 A trap line can be your way to a predator-prey balancing act on the properties you hunt.